A 17-year-old Lincoln Park boy was reportedly stabbed during an armed robbery in Oz Park early Wednesday morning. Police were called at 4:30AM after the teen showed up at St. Joseph's Hospital with a stab wound to his leg. The boy initially refused to tell hospital workers where the stabbing took place, but he eventually revealed details to officers. 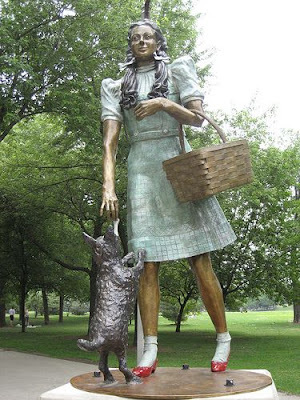 The park, located at Lincoln and Webster in nearby Lincoln Park, is famous for its Wizard of Oz-themed statues of Tin Man, Scarecrow, Cowardly Lion, Dorothy and her little dog, too.